If you were hoping that an hour of conversation with one of the main stars of Star Wars would lead to a tricle of evidence about the new film, I'm sorry to disappoint you. At his Star Wars Celebration Europe talk, Mark Hamill not only stayed mum on the subject (Disney contracts are funny that way), but offered the perfect argument against hunting for Star Wars Episode VIII spoilers. "It's for your viewing pleasure that we do this," he told an audience of 4,000 adoring fans, adding, "They're not doing it to annoy you." And guys, we should probably listen to him. Now, I know it's hard to resist when little drips and drops of potential spoilers come about. (I'm not going to lie — I got really into that bit about the force trees, myself.) But let's think back to that time far, far away: December 2015, when we all saw The Force Awakens and were surprised at every turn because we knew absolutely nothing going in. That's what Hamill wants for fans going into Episode VII. "They want the surprise to be in the movie theaters, not on the internet," he said to rapturous applause. "You don't want to know what you're getting for your birthday." And if, somehow, that hasn't convinced you let's at least consider how much trouble the crew and Hamill himself have gone through to keep it from getting out. “It can be really annoying,” he said, describing the coded call sheets ("Everyone's a number"), the electronic lockdown on the scripts, and the aforementioned contract. If our heroes are working this hard, we should probably try and play along, right? Then again, there is always the possibility that the ridiculously friendly actor might accidentally slip. 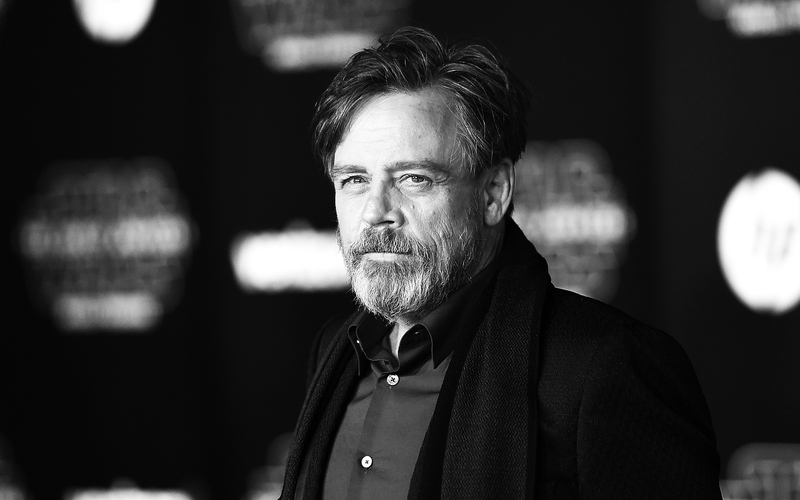 As the Q&A continued at London's ExCel center, one clever fan tested Hamill's resilience by throwing in a simple, "And what's [Rey's] last name again?" to now avail. But as Hamill himself says, "I'll get bewildered and blurt out inadvertent spoilers." It was worth a shot. But in the end, all Hamill could offer was, "I don't know." And considering how much fun we're all having theorizing about Rey's parents as we wait for the new films, I think it's probably for the best that the trick didn't work.